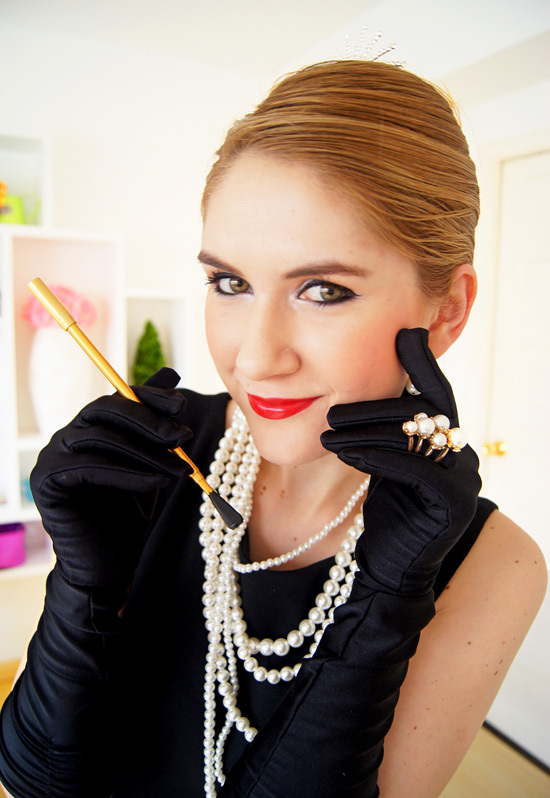 For the third part of my series of easy Halloween Costumes, I went with the classic and always chic Audrey Hepburn from Breakfast at Tiffany's. This costume might be the easiest one yet! 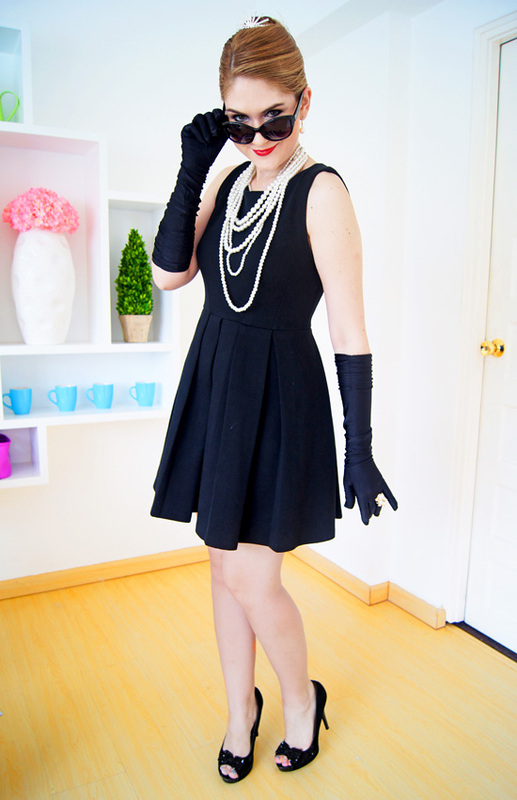 Any Little Black Dress from your closet should work well for this costume. The more classic the shape, the better! I would recommend wearing your hair in a french twist! If you don't know how to do a french twist, there are tons of tutorials on youtube. That's how I learned ;). Also, don't forget to add a little tiara if you have one! To nail the look, you need a pair of black gloves, a long cigarette (optional), and lots of pearl necklaces (just stack several individual pearl necklaces together). A pair of black sunglasses is also completely essential to this look! How easy was that right? The best part of this costume is that it is composed of items that most women already own! That makes it a great last minute costume idea. I hope you are all enjoying the Halloween specials on my blog! Such a chic outfit! I adore your dress! Perfect for Halloween. Very, very chic! I love it! Love the idea! I am a huge fan of Audrey Hepburn! Marvelous !!! i adore this halloween costume idea, brilliantly executed. Such a great idea! :D You look so so pretty.